from our night fishing, and lunch today! Pure Adventure on the Western Islands of Sicily. 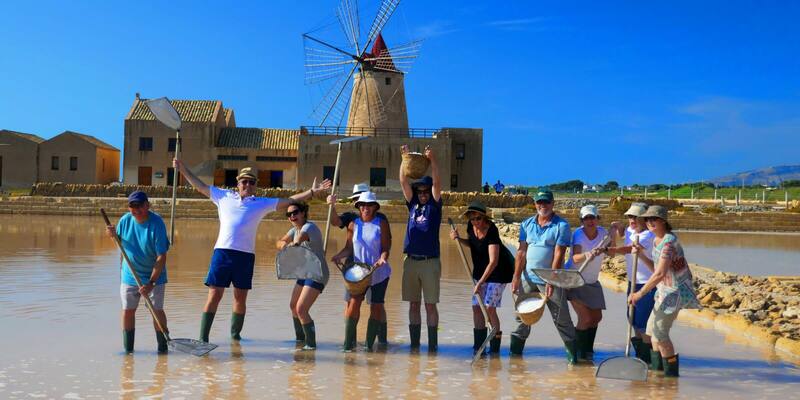 Cooking Classes, Salt Harvesting, Private Night Fishing & More. Experience the island-life in Sicily as if you've lived there your whole life. Get to know the locals. 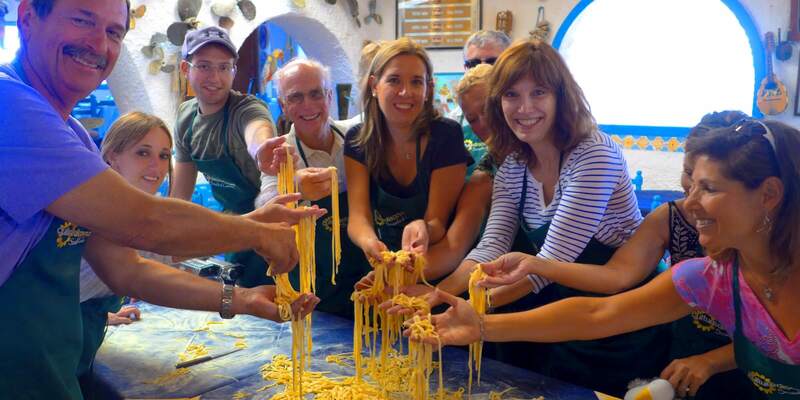 Cook authentic Sicilian recipes, dine in unique settings, drink fabulous wines, go fishing, swim the translucent blue seas along with so much more. But most of all, you will have the time of your life! This is not a sightseeing trip, this is a culturally immersive 8 Day - 7 Night vacation like you've never had. You will get an insider's view of Sicily that is nearly impossible to have in any other way. You will leave with memories to last a lifetime. 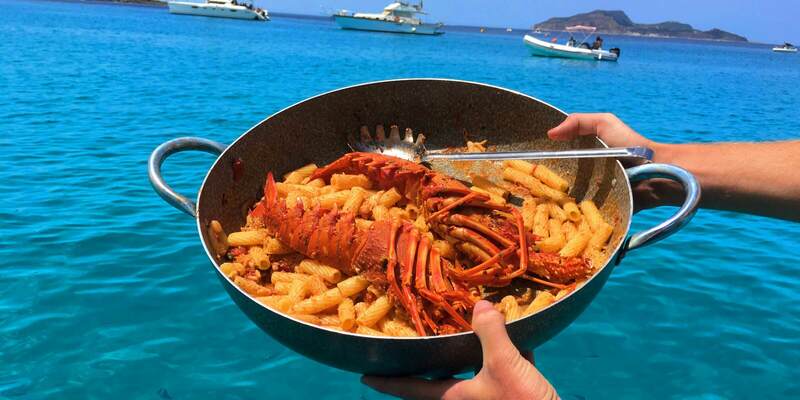 You will pinch yourself over and over in amazement that you are actually living this Sicilian-Island lifestyle. Our small-group vacations is an all-access pass to true island living like nothing else out there. 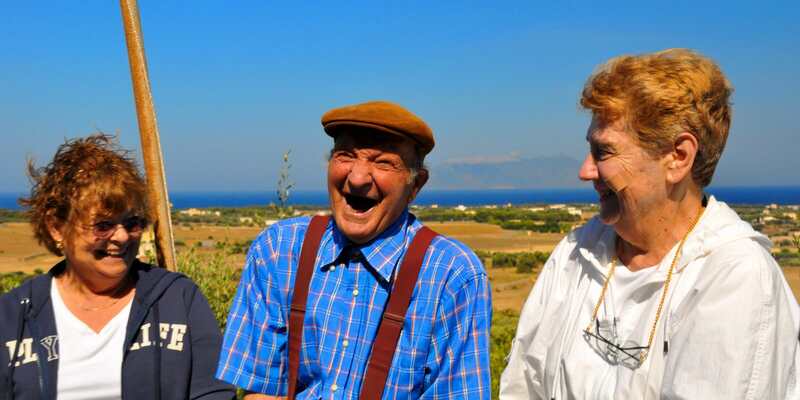 Most of all, it is a week of fun, family and laughter as we share what makes Sicily so special in a very personal way. We'll have four completely hands-on cooking classes this week. Our cooking classes are not demonstrations. They are 100% hands-on. We structure them so that you can be as involved as you desire in every stage of every course we prepare. 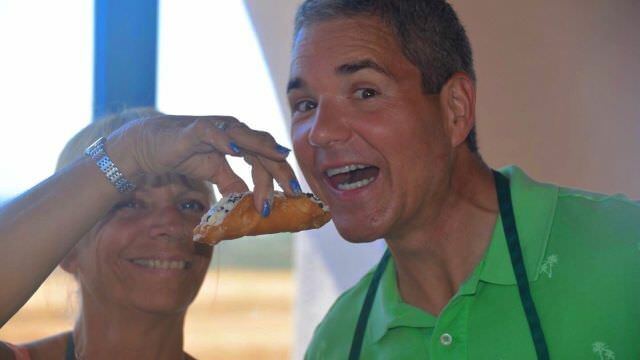 So, if you are up for it, we will get wrist-deep in our kitchen as we make Eggplant Parmesan from scratch, Veal Marsala, Incredible Cannoli, amazing Sicilian seafood dishes, Arancini, Pizza, Pasta alla Norma, and so much more. 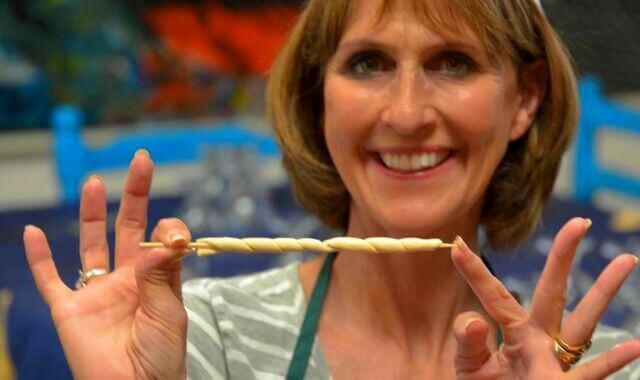 We'll even have a class where we grind out Sicilian sausages by hand! We understand that some of you would rather eat than cook. But no worries, there is always something to do. Head down to the beautiful seaside with crystal clear waters, Opt for a Scuba lesson, spend time at the beach, or listen to some music or read a book while relaxing in the sun on the giant cliffs overlooking the sea. This vacation is all about rich cultural experiences that are never part of some touristy offering. Most of the cultural experiences are done with local friends that do what they do only with us, making each moment a truly unique experience. 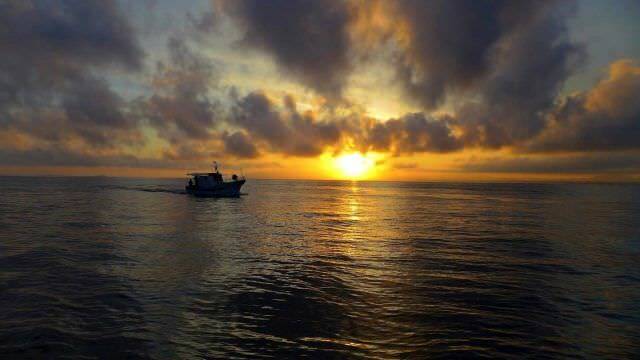 When we go night fishing, we are out with a local fisherman on his nightly fishing trip. We cast the nets with him. We get to know him. We clean the fish with him, and we even help him sell the catch at the local market. When we are making Ricotta, or harvest honey from the hives, it is not something they do for any would-be tourist. 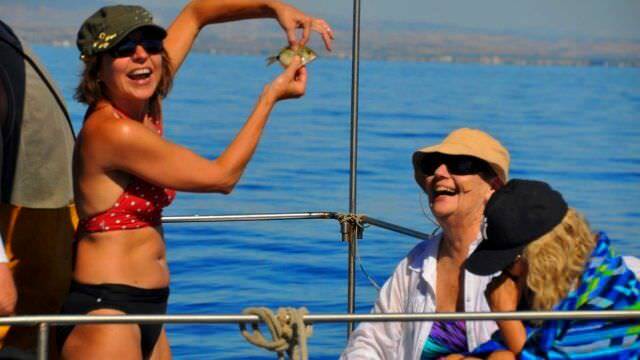 These are one-of-a-kind experiences that are only done for our groups. 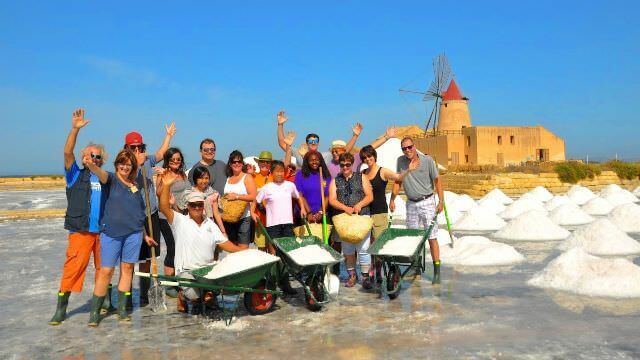 While thousands of tourists drive the Trapani Salt Road on other tours, they will see the people out in the distance, away from any other visitors, harvesting salt. On our vacations, WE are the ones that those tourists are watching harvesting the salt... and of course, we bring it home with us! Throughout the week you will most likely see many of the same locals over and over.. on the boats, in town, or maybe at a private dinner. You will not be a tourist. You are always a welcomed guest. 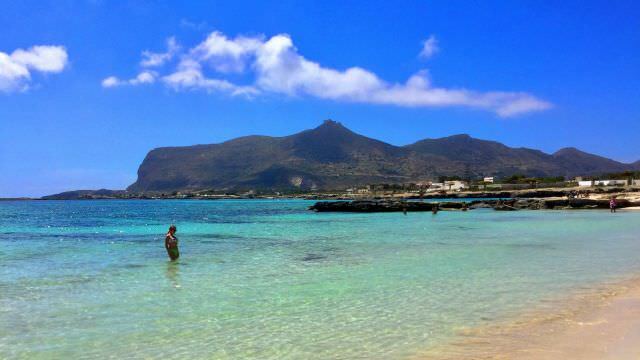 The island of Favignana is in a part of Sicily that still upholds local traditions and cultural values. It is still very real and true to its roots. You will find yourself discover fantastic places that most people would never have access to. We'll take trips to incredible places like the breathtaking grottoes off the coast of a seldom visited island. 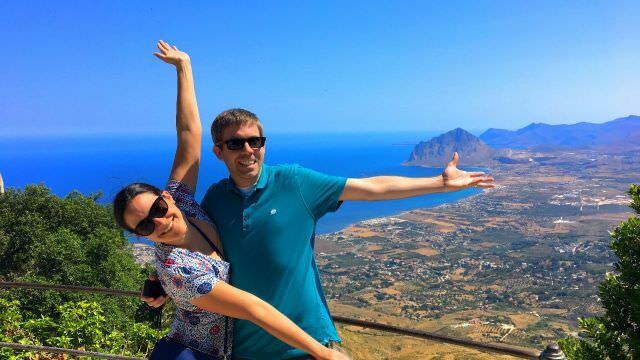 We'll also spend some time on the Mainland of Sicily, visiting the mountaintop village of Erice, we'll experience the Salt Flats of Trapani, and so much more. Our excursions are unique to our groups and not the run-of-the-mill popular touristy type places... they are excursions that bring you into a Sicily few foreign tourists ever experience.... seeing Sicily not just like an Italian, but like a true Sicilian insider. 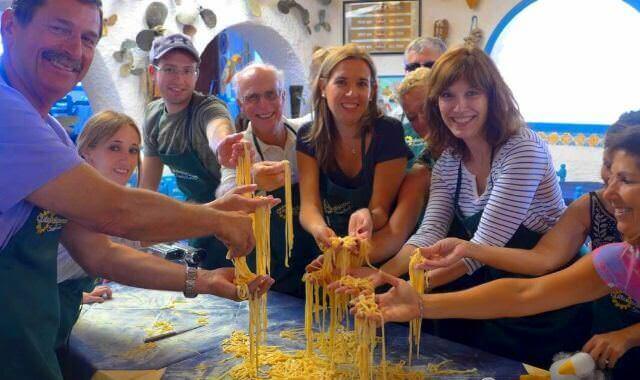 Additionally, the meals at our cooking classes are not little "learn to make pasta" classes like many others. Instead, the classes are traditional Italian 'Sunday Family Meals'... Multiple courses, appetizers and desserts, all done to the max. We'll even make ricotta cheese and wood-fire oven pizza! The Island of Favignana is shaped like a butterfly. 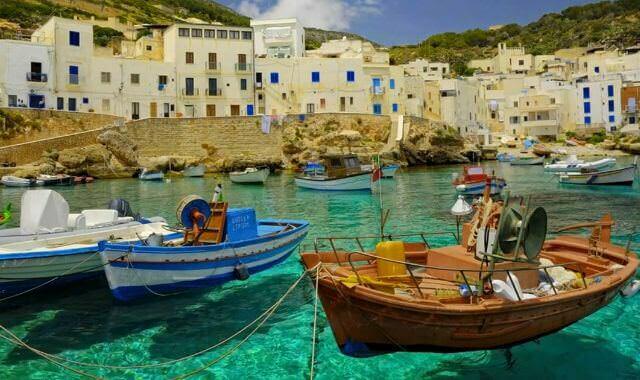 The main seaside village, harbor and old fishing port is the town of Favignana. Our hotel is on the bluff above the beach of Cala del Passo, where we have some down time at the beach there. When we are out on our boats, we'll go around the island visiting and stopping for a swim at any number of spots, including, Cala Rossa, and Calamomi. 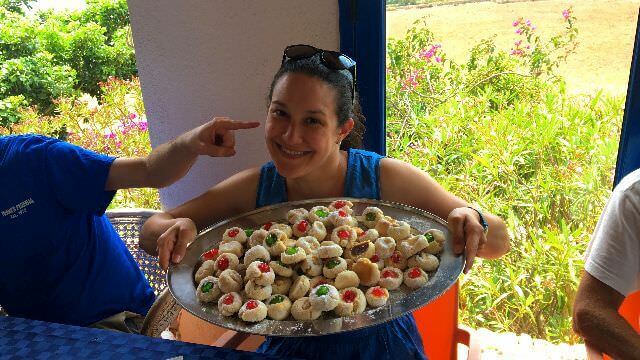 We'll also be venturing into the Favignana Countryside to visit a family farm for pizza night! 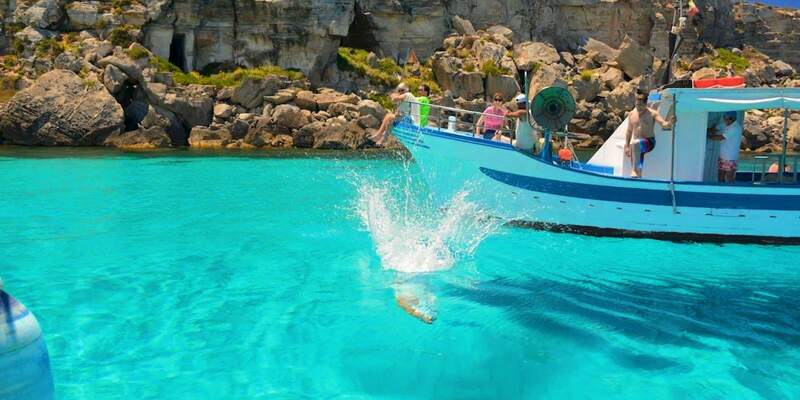 We have an incredible day out from Favignana when we take the hydrofoil to the nearby island of Marettimo. We board small boats to take us on an excursion around the island to explore the incredible coves and gorgeous grottoes. Not often, however when the weather dictates that we need to opt for another island, we head to Levanso, to visit the prehistoric cave drawings that date back over 10,000 years! 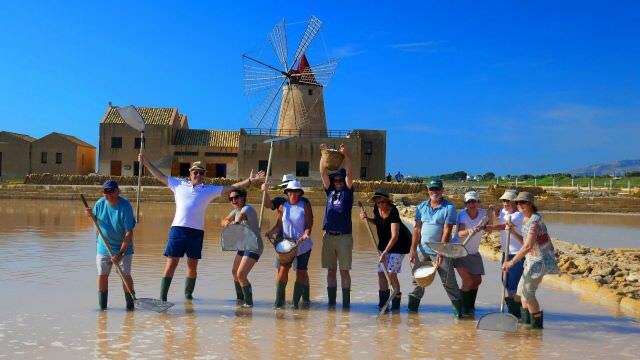 On our last day of the vacation, we return to the mainland and have an incredible salt harvest experience at the Salt Flats near the town of Marsala. 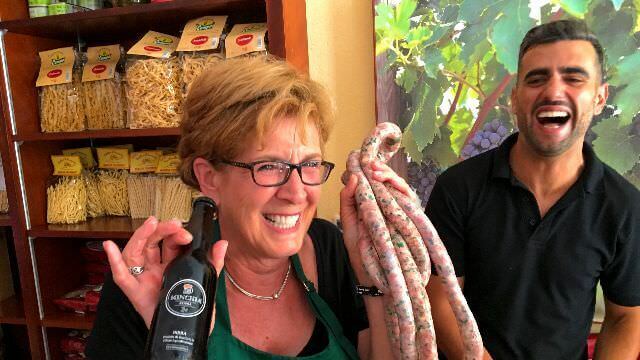 We also have our sausage-making class at a well-known, family-run butcher shop in Val d'Erice. Which, just so happens to be in the foothills of the picturesque town of Erice, where we spend time taking in the incredible views and walking the charming alleyways. Along with the historical significance, this charming village high up in the hills will leave you with lasting memories. 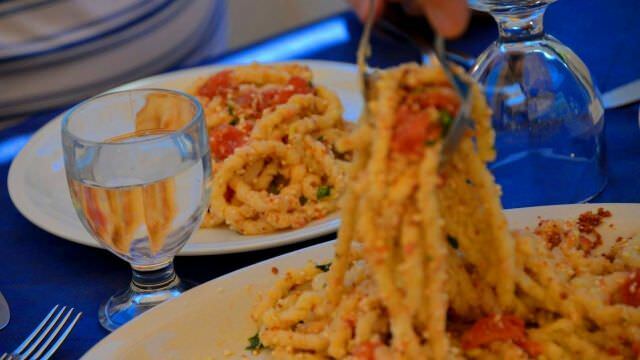 Time permitting, when we are waiting for our ferry to Favignana, we will spend some time in Trapani and have some apperitivi in this seaside town. Grab an apron! We're making some great recipes for our lunch today! For our second cooking class, we're back at the country home overlooking the sea. We're making some wonderful Sicilian dishes...Just like Nonna used to make! 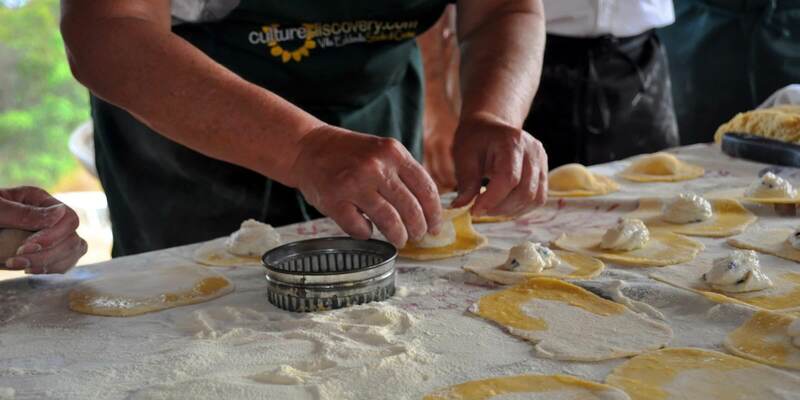 For our final class in Favignana, we'll be making some of the most delicious recipes of the week! These really are some mouth-watering dishes that you will want to make over and over again! Class #4 - Sausages! Sausages! Sausages! During Our Final Cooking Experience we'll be making Boscaiola and Capricciosa Sausages! We head over to our friends Francesco and Giovanni's butcher shop in Val d'Erice. These two brothers carried on the family tradition and have the one of the most incredible "machelleria" on the island. We'll get settled in enjoying some local wine and sampling some of their in-house salami, mortadella and other delicacies while Francesco butchers up some selected cuts of pork to make our sausages with. After seasoning and mixing, we put them in the hand-cranked sausage filler and pump out the most delicious, freshest sausages you will ever have...After they're cooked and we have them as part of our lunch, of course!